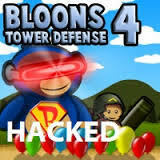 Following on from the BTD4 game, this is the BTD 4 Expansion hacked game which has now been updated with new monkey towers like the Dartling Gun and the Spike Factory which makes this expansion for BTD4 an awesome expansion pack that you will love to play if you like your balloon and monkey games. 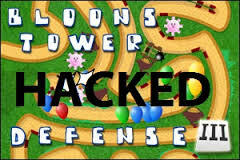 Especially with this hacked BTD4 Expansion pack which gives you unlimited money so you can buy and upgrade your monkey towers straight away and can enjoy completing BTD4 expansion pack without getting blooned under! 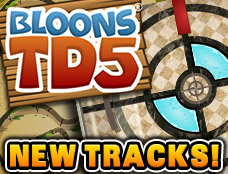 Bloons Tower Defense 4 Expansion Pack has four new fun tracks for you to play on like the mesmerizing Sandy Spiral track and the Subterranean Sewers. 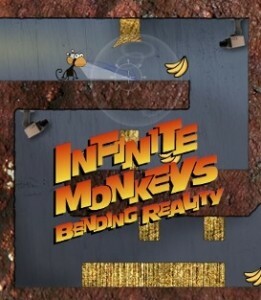 Unlock all the secrets of Monkey Temple and put your bloon bursting skills to the test in the Triangle of Insanity. 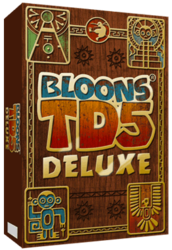 Plus this BTD4 Expansion Pack also has the new Deflation Mode where you’ll start with 50,000 cash but you don’t ever earn any more so you’ll have to spend it wisely! 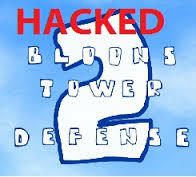 There are now also Tower Specialties that are unlocked after you complete the tracks on the hardest setting. 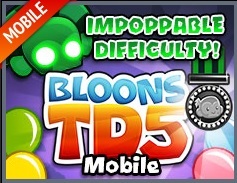 The specialties can be used to customize your bloon popping strategy as some of the monkey towers will be a lot cheaper to buy but the others will also have their prices increased also but this allows you to use your skills and strengths on the other tracks also. Those clever little monkeys, now understanding supply lines, they’ve been able to add support to their regular towers through “Monkey Villages”. These units provide an array of benefits to towers within a certain radius. 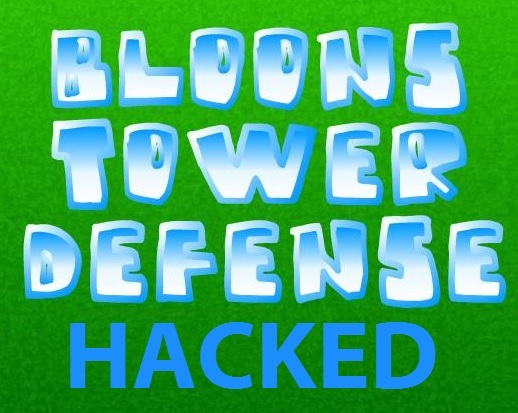 Bloons Tower Defense 4 Expansion Pack Hack. Start with unlimited money. Score submission is disabled. No other hacks work as they are premium content.